K-4th Grade: Students attend music class weekly to learn basic music theory and experience instrumental and vocal music through listening, singing, and the use of basic rhythm and percussion instruments.Near the end of the school year, they will perform in a recorder concert amongst their peers. 5th-6th Grade:Students participate in music class once a week to further strengthen their music theory and methods skills. Preschool and elementary school students each perform in Christmas Programs with their campus that includes music and opportunities for drama, recitation and dance. Friends Christian Middle School offers a band program, where students can audition and be placed in the Beginning or Advanced level. Our band(s) are given the opportunities to perform at a variety of attractions around Southern California. 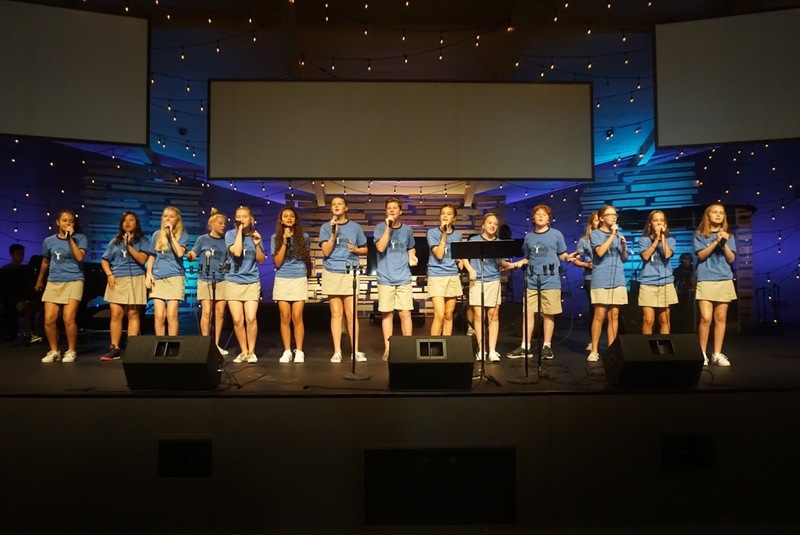 The Friends Christian Middle School Praise Band is responsible for leading worship through music during weekly Chapels. The ensemble consists of a variety of instrumentalists, vocalists and student sound techs. Auditions are open to seventh and eighth graders.